*Missouri is not immune to church threats. *Many of the criminal acts against churches involve arson. *Churches are soft targets because of easily accessible geographical locations, a potentially large number of people, routine scheduling, multiple entrances, unrestricted access, overall low security and an open-door atmosphere. *Most threats occur outside of normal worship times, outside the main worship building, and often during special events. *Most violent incidents resulted from personal conflict, robbery and domestic violence issues. *Some assailants had an affiliation with the target. 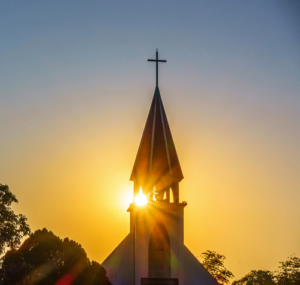 *Many Missouri churches lack security, evacuation and communication plans to deal with emergencies and criminal behavior. The Thursday forum was held at Farm Bureau in Jefferson City.